Fitbit's first kid-friendly fitness tracker, the Ace, has been out in the US for a couple of months now. For the rest of the world, kids have remained on couches, unmoved. Uninspired. But that wait is over. The Ace is now available worldwide for $99.95 on Fitbit's website and stores where you can buy Fitbit wearables. The Alta-like Ace is aimed at getting kids off the couch and doing activities, tracking fitness and sleep activity and deploying move reminders every so often. There'll also be weekly challenges and rewards that hope to provide some extra motivation. Fitbit quotes CDC figures that say one in five kids in the US are obese, while the HHS says only one in three kids are physically active every day. It sees a market here, but this is its first at a kids' wearable. Fitbit's solution isn't to smash a bunch of games into the Alta, it's to treat kids like adults, as it found most kids, well, wanted to be treated like adults. The whole family can take part too thanks to new family features in the Fitbit app. Parents can monitor and see how active their kids are, but they can also limit what information the kids see in their own Fitbit app. Unlike other fitness trackers, the Ace doesn't come with a heart rate sensor, so you won't get the more advanced metrics of Fitbit's "adult" trackers. 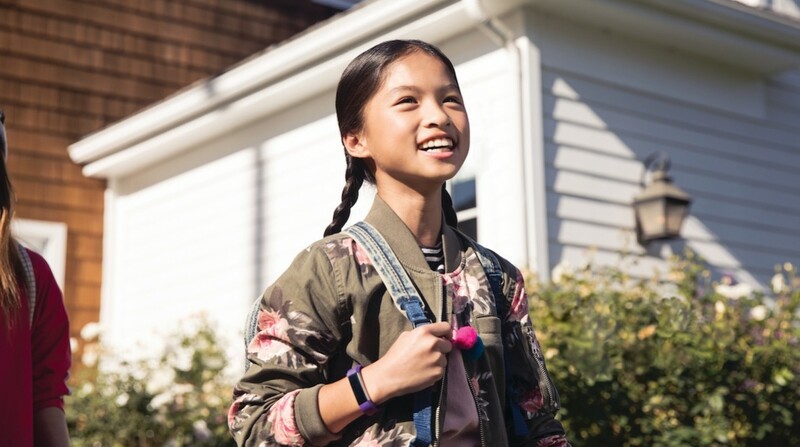 Regardless, the Ace looks to be a compelling and interesting entry point for kids into the Fitbit ecosystem, especially if parents want to try to get the whole family in on getting more active.